Raising My Little Superheroes : I go Tara school now? 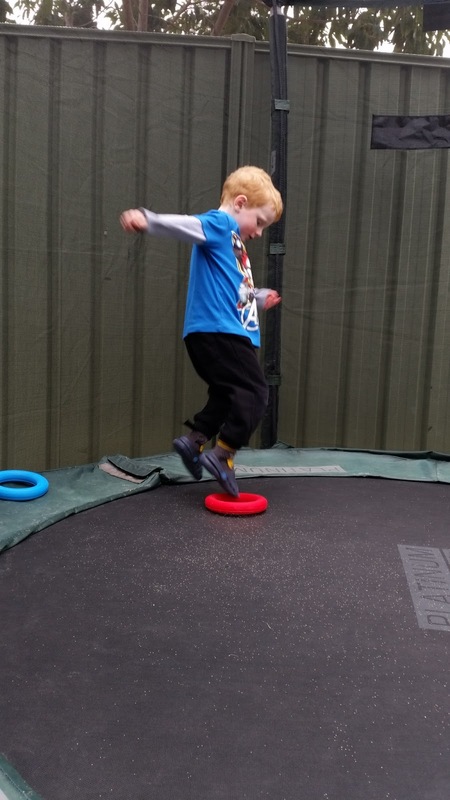 L goes to an early intervention centre once a week and it is quite honestly one of the best things that we have ever done for him. 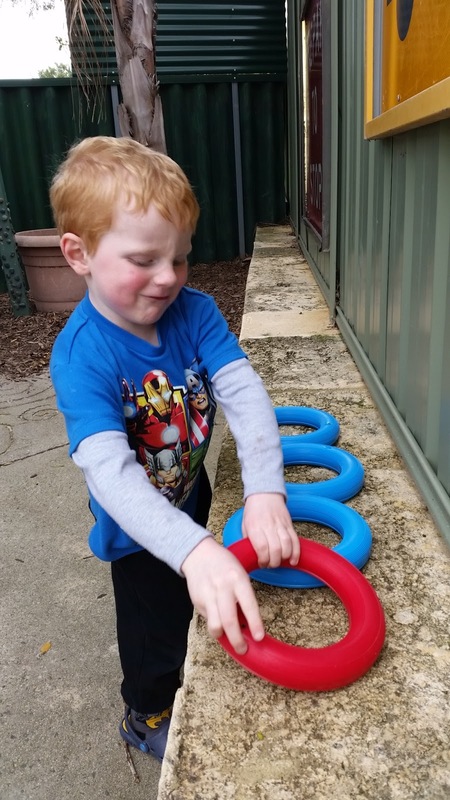 He started in the first week of Term 1 this year. The date will forever be etched into our minds – 2nd of February 2016. It was a new beginning for us. For those who are not in the know, the early intervention centre is where L and a lot of other children with autism do their therapy. The centre’s staff consists of therapy assistants, early childhood and primary school teachers, speech therapists, occupational therapists and psychologists. The programs are tailored to the children, the children are assessed on a regular occurrence and programs are continually updated. It is an amazing set-up, all the staff are able to get the best out of all the children and I would highly recommend an early intervention centre to anyone wanting to utilize their services. 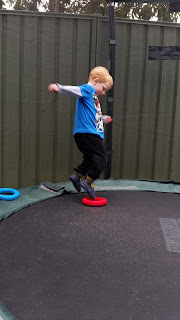 His very first day at the centre was nerve wrecking for all of us – would they be able to communicate with our boy, will he fit in, will he have fun, will his anxiety set in and a dozen or more other questions. L was cautious when we first got to the centre but he was excited at the same time. He did a lot of stimming when we arrived, he explored the outdoor play area and immediately went into the huge sandpit and started digging in the sand. When it was time for me to leave, his separation anxiety set in, but as the staff are very well trained, I felt quite at ease leaving L in their capable hands. The staff phoned within about 10 minutes with the great news that L had calmed down and was quietly playing in the free choice room. His therapy assistant for term 1 was a lovely caring lady by the name of Tara. L loved Tara, he still does and would eagerly participate in the therapy activities with her. He made the most amazing progress while working with Tara – he still is making amazing progress. Each session that we arrived at, L would immediately go and hide in a huge concrete tunnel in the outdoor area – it was a game that L and Tara developed. 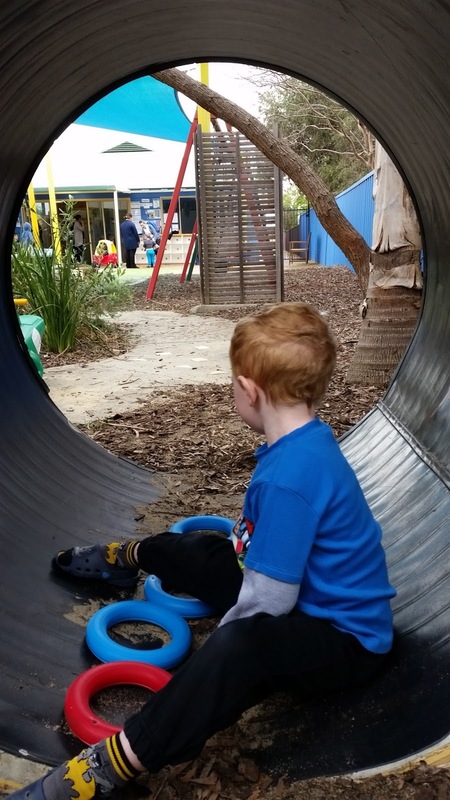 L hasn’t quite grasped the concept of hiding yet, you can see straight through the tunnel, but he would hide in there giggling his bottom off while Tara pretended that she couldn’t see him. They’d then get the superhero capes or trucks and go off to start therapy. After his first day, the only name he could remember was ‘Tara.’ And then the Autism Centre became “Tara School.” L had had a fantastic day. Each week after that we went to Tara school, not the Autism Centre. Even on the days that L was to go to school, he’d do some wheeling and dealing to try and go to Tara school instead. The conversations never end well! The centre has since had a name change and we still cannot convince L that it isn’t called Tara School. The name has stuck! At the beginning of each term, the therapy assistants are moved around so that the children become used to the idea of change. At the beginning of second term, L went straight in and over to Tara. He looked very disappointed when Tara explained that she had to help someone else but that one of her friends would help him. Each of L’s therapy assistants have been absolutely wonderful but they’ve all come to realization very quickly that their work place, to L anyway, is now called Tara’s school and that his most favourite person there is Tara. He mightn’t always acknowledge Tara, but he always checks out of the corner of his eye to make sure that she is there. And on the occasions that he can’t see Tara, he’ll go and find out where she is. He’s not happy until he knows that his favourite person is there. L has made quite a few friends of varying ages, nationalities, boys and girls at the centre. They all just get each other. They mightn’t talk all that much all the time, but they enjoy each other’s company and they have a tonne of fun! We still have rough drop offs but L now settles very quickly. He still seeks out Tara! The early intervention centre has been a god send to us. L has made progress in the past 9 months that we haven’t seen in the three and a half years prior to him starting there. Progress to the point that all of his therapy assistants are truly amazed at how well he is doing. One of his last therapy sessions, L was making sure that all his friends were included in the game. He worked out during one game that Kira, his current therapy assistant, hadn’t had a go, so he made her join in. Kira then decided that she would give L some responsibility during craft and got him to hand out the playdoh to everyone. Nine months ago he wouldn’t have been able to do that! So from the bottom of my heart to everyone at Tara’s school, thank you for looking after my boy. We’re very grateful for the time and effort that you all put in. I know Tara too, and she really is the best! All the girls are fantastic but yes Tara is the best if you ask L! I've heard that tara is really good too.